After graduating from the American University in Sharjah in 2004, Lamya Gargash received her master’s degree in communication design from Central Saint Martins in London in 2007. Her work has been featured in group exhibitions in Canada, France, Japan, the Netherlands, and Switzerland, as well as within the UAE. Throughout her career, she has garnered numerous awards for her work in film and photography, including first prize at the 2004 Emirates Film Festival and an Ibda’a Special Jury Award for her film Wet Tiles. Most notably, Gargash participated in the 53rd Venice Biennale in 2009 as the featured artist of her country’s first-ever National Pavilion. She currently lives and works in Dubai. Concerned with the relics in an ever-changing architectural landscape, Lamya Gargash documents forgotten spaces in the public and private realms of Emirati society. A keen observer, the artist captures nuances and details that might otherwise be disregarded and meticulously preserves them in her photographs. The Majlis series features images of different living areas in the UAE and offers viewers a unique glimpse into the traditions and private lives of the Emirati people. As an underpinning of local culture, majlis for decades have served as places for families and friends to gather and discuss issues over Arabic coffee or tea. 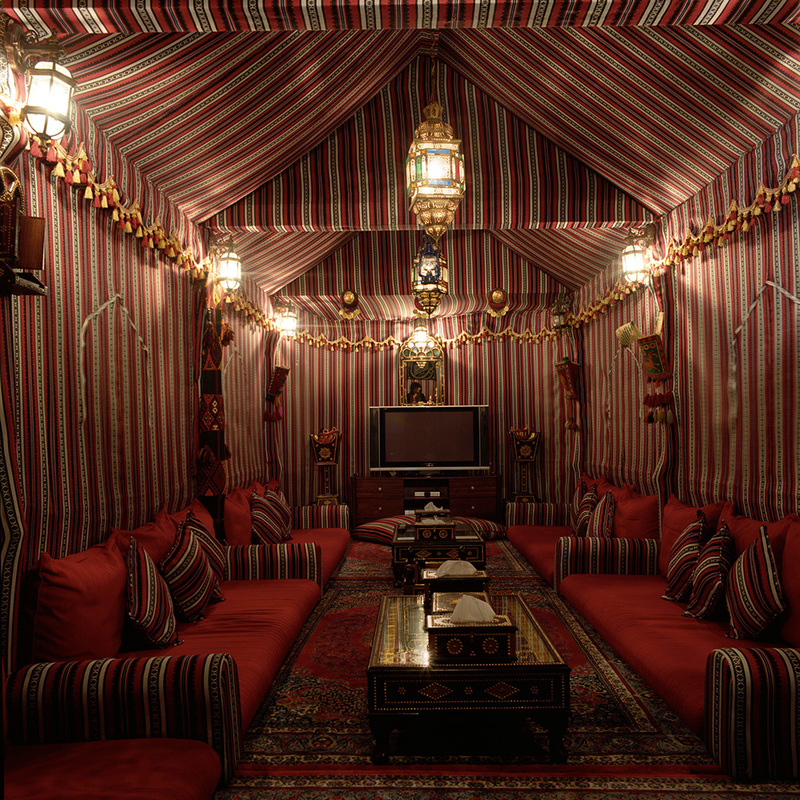 Emiratis spend a fair amount of time decorating these spaces, which reflect the owners’ personality and style. Despite globalization and development, the majlis and their place in society have remained constant.